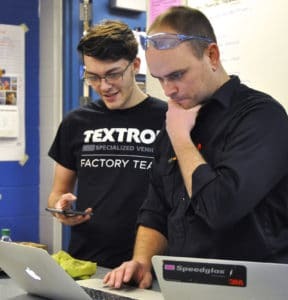 Joe Schulte is waving a giant flag…the technology teacher calls it the flag of opportunity…for students to take classes that can lead to rewarding and well-paying careers in manufacturing and industry. 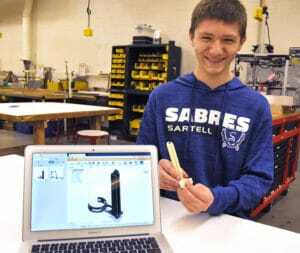 Schulte and Nick Phillips teach Sartell High School’s classes that challenge students how to size up a problem, come up with a solution and then make something that solves the problem. The 21 classes they offer are electives and they’d like to see more students, especially girls, sign up. A majority of students don’t take technical education. The teachers would like to change that. “I’d like to see students challenge themselves with taking classes outside their box,” Phillips said. Students learn about processes and techniques and then roll up their sleeves and get to work. 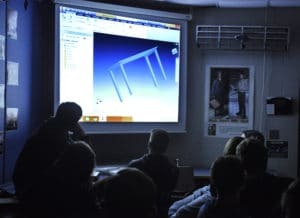 In one of Schulte’s classes, students recently presented the products they made with a 3-D printer. 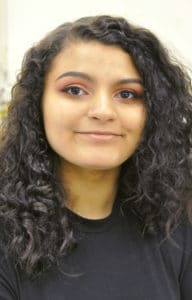 Sophomore Tiana Younkin is a guitar player and she has issues with loosing guitar picks. She created a holder for multiple guitar picks, starting with an idea, then a design or two that didn’t work before producing the finished product. 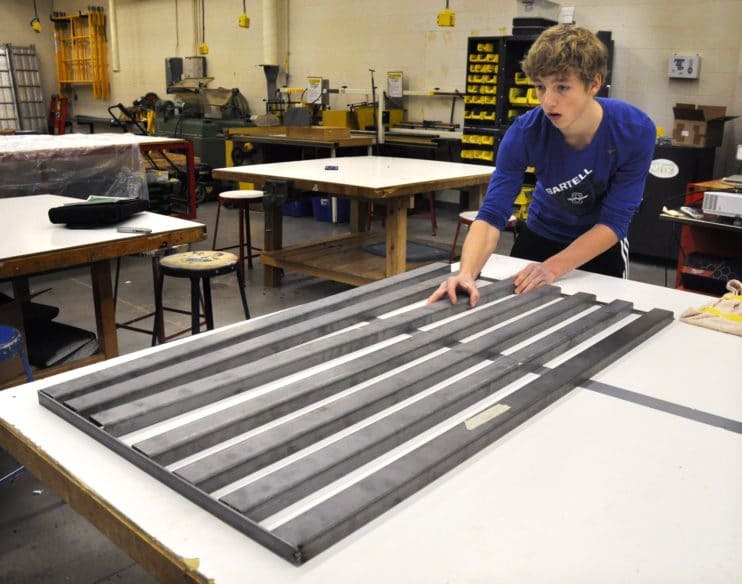 Classmate Preston McGraw tackled another practical need with his project. He designed a toilet paper holder for a person who had shoulder surgery and only had one free hand. While presenting his project, he talked about the design process, how to evaluate solutions and identify tools to produce the holder. The presentation included how he’d price the device and market it. “I learned how to use engineering concepts and 3-D to solve problems,” McGraw said. Next door in Phillips’ metals class, Cameron Nelson was welding behind a protective screen. Nelson, who has taken six technology classes, said he’s looking for a career in metal fabrication. “I value problem-solving and practical experience in how to troubleshoot,” he said. Not all student projects solved practical problems. Alex Franke created a metal flag out of cut pieces of metal that needed to be welded. Schulte and Phillips work closely with an advisory group that includes local manufacturers. The instructors work to integrate their students in the working world with activities such as internships. Schulte and Phillips are looking ahead to what they will be able to offer students at the new high school opening in the fall. Their department will be in the center of the building, instead of a far-off corner where it is now, with open walls so their work will be visible. Plans call for some more new advanced classes and collaboration with teachers from other departments. The art department will be next door and one of the new collaborative classes will be metal art sculpture that will blur the line between art and technology. And they hope the class will attract more female students. Other new classes cover small engines and advanced design. The new learning space, Schulte and Phillips believe, will help move the needle and attract more students. They also are passionate about the career possibilities that flow from tech. ed. Alex Franke created an American flag by cutting and welding metal. Senior Cameron Nelson practices welding. Preston McGraw shows the one-handed toilet paper holder he designed and produced on a 3-D printer. Student Cameron Nelson discusses class plans with teacher Nick Phillips. Teacher Nick Phillips begins a class by demonstrating the software he used to design a table.